Ever since we heard about amateur mma fighters wearing our Contract Killer board shorts for fights and us being fans of the sport, we starting seriously looking into getting into the industry. We now have a full line of mma fight shorts, T-shirts, hoodies, hats and more. If you recall, where originally Hybrid came from MMA. My good friend of mine by the name of Wayne Chan had ventured into the sport almost 11 years ago producing Vale tudo shorts, shirts and fight accessories.. Even Bob Longs Ironmen back in the day was wearing the branded Provinggroundz.com logo at the apex of their time. 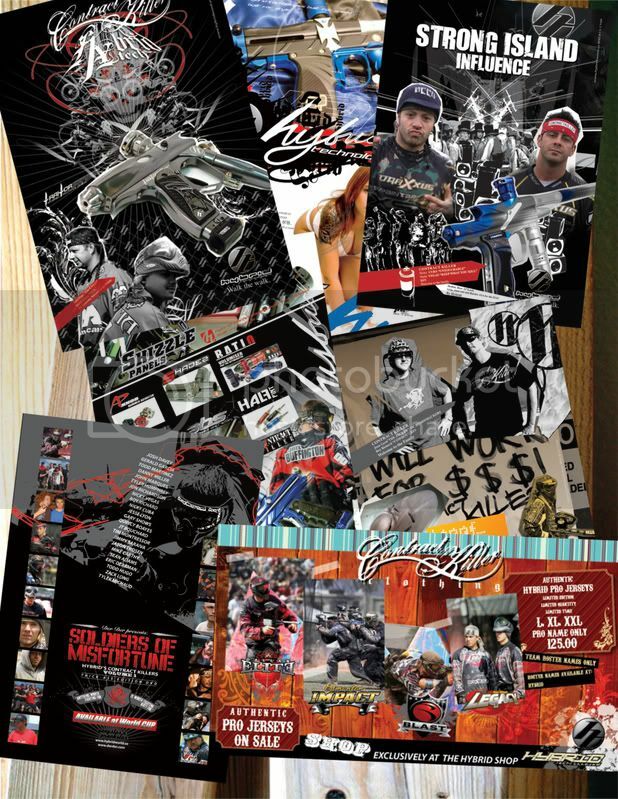 From there we had got together to form what was at the time hybrid technologies paintball, making accessories and after-market hard-parts for the paintball industry.. While here in this industry, we were known for calling our sponsored players Contract Killers now producing a line of Contract killer clothing, players gear and accessories.. This has been going on for nearly 5 years since the inception of the company..
Now, the full circle begins when amateur fighters in Los Angles began wearing Contract killer clothing to the ring.. We began our quest to observe, learn and research a now booming industry. 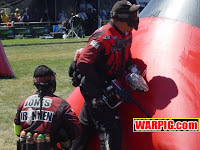 The industry is not far from how paintball is except for the internal fighting.. As most of us know as veterans of the sport, a company called I n I sports were huge in the mma and paintball mail order almost for the past 20 years! It seems evident that we come to terms with this and our brand. the loyalty and respect of both industries as far as fans have already embraced this and we are proud to be part of it. As far as Hybrid fight gear 11 years ago, the industry was not always together until now. We began working with fighter Aaron Miller from the AAO training center in Monrovia. From their we have been promoting fights one saturday night a month. We get phone calls daily from fighters wanting to wear our gear and we plan on signing some major fighters in the near future. As for now we plan to do a grassroots campaign as we did in paintball.. 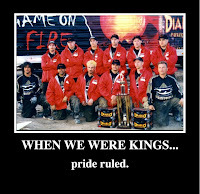 Promoting smaller leagues, fighters and slowly gain the recognition we have so long got in paintball. We all now that paintball is hitting a all time low wether its the constant bickering of the leagues, industry and now the smart shopper who now knows the imminent technology halt. On a side note, in our "Soldiers of Misfortune" dvd, we did a full day work out at Relsdon Gracies gym in Hawaii. I have worked out there before in the past and their more famous instructors out of that gym, Rexie, is also a player in one of the few paintballl teams from the islands, team Homegrown, KND, and team 50. Nicky Vegas from XSV is now a 3-0 Brazilian jujitsu fighter out of New York. The circle is small! I’m honestly somewhat shocked to be reporting this, and at the same time it doesn’t really surprise me with the current state of the United States economy being slowly flushed down the proverbial toilet. Hybrid Paintball has published a very emotional press release, with a companion video titled “end Movie”, to their website. The tone of the release is laced with anger, hate, sorrow, remorse, and sadness at the current state of the paintball industry. The release is being interpreted by many other “sketchy” paintball news sites that Hybrid is calling it quits and disbanding. Once more.. We are still here, not like how we do, but we are still here. Production I still have and whatever I got that you want. I have, till the industry warrants it. And if it warrants it I’ll make more. For those who are new to the sport, this won’t affect you at all. In fact, reading over the press release won’t bring about any emotion whatsoever. However, veterans know that Hybrid has been involved in a serious struggle with both wholesalers and foreign manufacturers regarding their products. The strain of legal battles has apparently been enough to seriously impact Hybrid Paintball as a company. Veterans know exactly what Hybrid is talking about when they speak of cancer and industry monopolies. Hybrid Paintball has published a very emotional press release, with a companion video titled “endMovie”, to their website. The tone of the release is laced with anger, hate, sorrow, remorse, and sadness at the current state of the paintball industry. The release is being interpreted by many other “sketchy” paintball news sites that Hybrid is calling it quits and disbanding. With the current situation of an economic melt down. We are going to be in the situation of change.. Not just our company but the community of paint-ball as we know it. Most importantly, our country. We see the dying of paint-ball dealerships almost every day. We have seen and been involved in the constant bickering of paint-ball manufacturers to not alleviate an ridiculous infrastructure of an ever changing paint-ball community.. What we see is conglomerates and umbrella companies slowly try to corner it and kill, or be killed. Competition is progress. But when there is none, You have become a monopoly. A beast that becomes fat and become a cancer to its own body. Now we fight internally.. From disgracing the new player to never having a good time, to the recballer who gives a damn about nothing but playing and if a field is not around or he thinks that his local field only caters to other so called “important non-paying types”, he becomes renegade … lawless. To the dealer, who cannot figure out why no one comes in their store. To the dealer that decides to devalue industry product because they are now in survival mode to make ends meet. To the manufacturer who now must do the same to help with dealer margins, but bleeds its own margins and soon must be hasty in their decision making… We must stop and start reflecting! Players will not feel this because you have the options to stay home and play online but know its always best to go play our sport like you should. Players have the luxury to love and hate brands to prove a point not knowing that this industry right this very moment, ONLY NEEDS GROWTH, the growth of competition, the growth to be better ambassadors to the new, the old, and the ones who have fallen to a disenfranchised love of the sport. The west is feeling the crunch, east will follow soon enough. Soon their will be nothing you decide what you want, that is the day the industry as a whole may be destroyed. We have stepped sideways because first off, we can, and secondly, the consumer, the dealer are simply not buying how they use too. To the consumer that can afford to pay in other industries good money, but is educated to go cheap in paint-ball. If you cant afford it, you just cant afford it. HOWEVER, what must be done is to let new people embrace our sport so we can grow. To also provide a service to the community that we are legit. When we do, fields are easily accessible. At this time I say we need a united front, a governing body, with two common goals; to thrive in our great industry, and to keep the industry from failing. We so love this sport? Then each player has a responsibility to improve it. History is repeating-itself and the more you see it then you begin to believe that the harvest did not justify to reseed because of a long winter. And we need to hold on to the fabric that made us great. to conserve, to demand, to supply must all come into play. We are a luxury sport, but when dad loses a job, or your parents lose their homes, who plays? who wins? most importantly, who survives? furthermore, who controls? Once more.. We are still here, not like how we do, but we are still here. Production I still have and whatever I got that you want. I have, till the industry warrants it. And if it warrants it I’ll make more. And when I can get up to lick my wounds, heal, and get up off my feet and feel like I need to do something, I’m coming after you.. To the loyalists: I got a lot more in the war-chest that these fools haven’t thought of yet! Just wait and see.. To my killers.. I will make things right.